We're sending chills up your spine! New medical thriller by Gil Snider, M.D. When he stumbles into a plot of international political intrigue, Neurologist Dr. Peter Branstead is thrown onto a tightrope. With the fate of Europe in the balance and the lives of his loved ones in jeopardy, can Branstead foil the plot and still escape with his life… while savage and cunning killers track him across two continents? Set in the Ukraine and Greenwich Village, Snider brings his own family heritage to the story. Describing the book as a journey of self-exploration, Snider focuses on the paternal relationship in addition to the thrills. Readers can't put this book down! 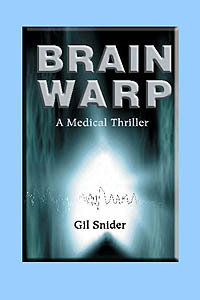 A unique addition to the medical thriller field, Brain Warp is Dr. Gil Snider's first book. A neurologist in private practice in Virginia for over 20 years, Snider brings a plethora of personal experience as well as detailed medical technology to the book. Readers alike - especially those with medical backgrounds - will devour this novel! Born in Brooklyn, Snider studied at SUNY at Stony Brook before attending medical school at the University of Michigan. There, he also completed his neurology residency. Snider completed his internship in Greenwich Village (one setting in Brain Warp) before settling in Virginia Beach. Brain Warp the book as well as reviews are available at www.iUniverse.com, www.bn.com, and www.amazon.com. Or, call 1-877-823-9235. Preview chapters and learn more about the author at www.brainwarp.net. 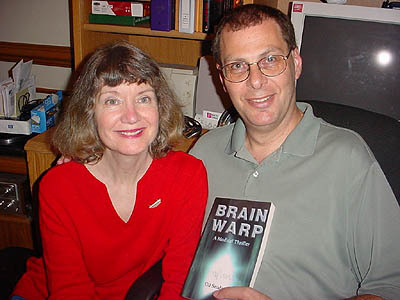 Dr. Snider has also been on Authors and Experts talking about Alzheimer's disease (also on brainwarp.net).